Follow through this re-blog to the link for Lille Huset‘s original post, where you will find the unique paper playground printable free, for your enjoyment. Lille Huset is a modern toy company based in Indiana that carries only eco-friendly kids toys. Lille Huset are designed in Chicago and Made in Indiana. Visit their website and social media networks below , for more well-designed paper fun. Get started on simple pretend play with your kids today. Exploring their website you will also find links to video tutorials for childrens learning through their one-of-a-kind materials. 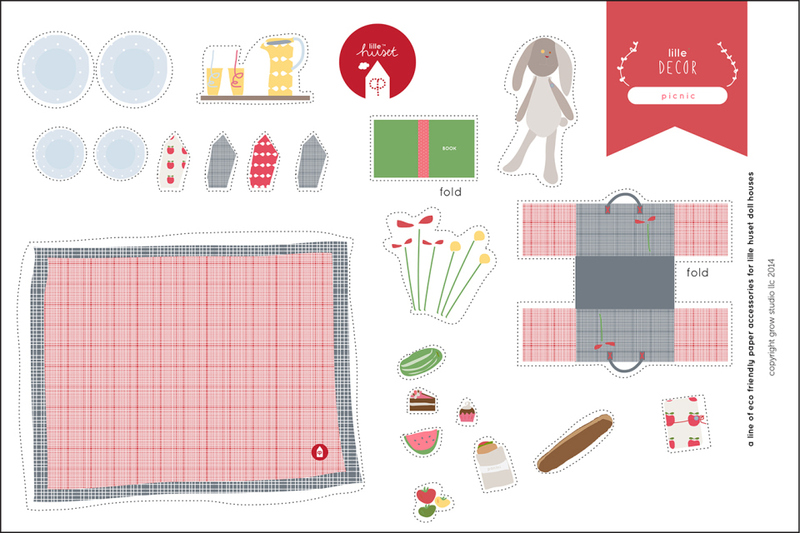 The “Lille Huset Imagine Your World” paper-playset, is available in their creative webshop. Soon, I will be sharing my review of their products as I receive my order! I’m super excited! <This Weekend ONLY Saturday and Sunday Lille Hauset products are on SALE! Its a flash 50% OFF, 2-day ONLY SUMMER SALE that is not to be missed! I discovered “Lille Huset” from some major creative bloggers over at “SmallForBig.com“–An excellent source of creativity from an art Mom blogger and fine designer. What unique craft projects have you and your littles created lately? Well, we know the weather is going to be nice soon enough so we thought we would send along some warm weather love with our new paper play free download! Enjoy!